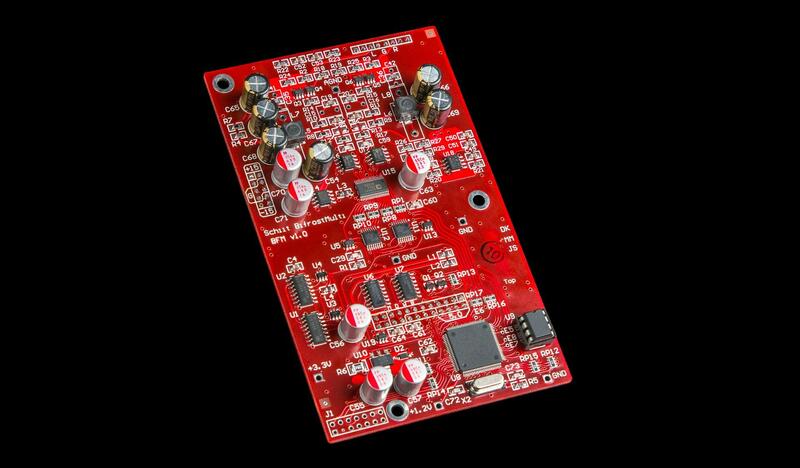 This upgrade changes any existing Bifrost or Bifrost Uber into Bifrost Multibit*, a radically different DAC using the medical/military grade AD5547 D/A converter and Schiit’s proprietary closed-form, time- and frequency-domain optimized digital filter. For this upgrade, your Bifrost needs to have its motherboard firmware updated by us, or by an authorized service center such as Electromod in the UK. This requires a specific programming device with an RJ12 connector, as well as software. Because of this, there is no self-install option, sorry. We've provided a convenient scheduling system that allows you to keep your Bifrost until we’re ready to upgrade it immediately. Just place your order, and follow the steps in the series of emails. You’ll be notified when your order is accepted, when to send in your DAC, when the work is performed, and when it’s shipped back to you, for complete transparency. Bifrost Multibit upgrades are covered by a 2-year warranty, or the balance of the original factory warranty, whichever is greater. For out-of-warranty Bifrosts, this re-activates the warranty on the complete product for 2 years. One caveat: Schiit may refuse to do upgrades on heavily modified products. Schiit-installed upgrades are not eligible for return. *Please note this does NOT include the USB Gen 2 input, so if you don't have USB input, and want USB input, you'll need to order both upgrades.